Exceeding deforestation and destruction of natural spaces has gotten us to a world where the percentage of animals has reduced to such a small number when compared to the population of humans. Realising this rapid extinction of animals, birds, reptiles and more, many of these creatures have been enlisted under different lists of varying levels of risk, based on their numbers. India is home to quite a few endangered and critically endangered species, that we as Indians are lucky enough to witness. At an attempt to save the wildlife, many measure have been incorporated and the following animals have actually increased in number over the years. Read on to know about these endangered animals and where you can find them in India. Originally from Eastern Himalayas and southwestern China, red pandas are the cutest mammals that are quite sadly on the list of endangered species of mammals. Luckily for us, these red pandas are safely looked after at the Padmaja Naidu Himalayan Zoological Park, commonly known as the Darjeeling Zoo. 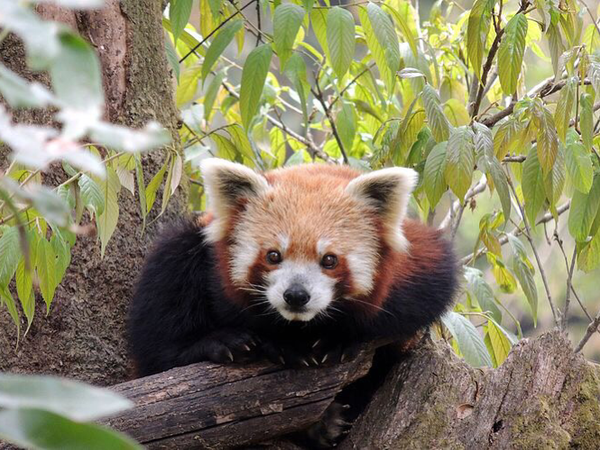 Located in the beautiful hill station of Darjeeling, the zoo is home to a number of red pandas. Apart from this zoo, you can witness these animals even in the beautiful Khangchendzonga National Park in Sikkim. Pygmy hogs, that were initially found in parts of Bhutan, Bangladesh, Nepal and India, are now found only in the Manas National Park in Assam. Therefore, pygmy hogs are now enlisted under critically endangered species with only about 150 of them surviving at present. Other endangered species that you can see at Manas National Park include golden langur, Assam roofed turtle, etc. The park is famous for housing wild water buffalos in a good number. If you want to witness Asiatic Lions in their natural habitat, Gir Forest National Park in Gujarat is the only place you can do so. Although the Asiatic lions, which are also known as Indian lions, have been enlisted under endangered species, they have seen an increase in their numbers. As of census taken in 2017, the number of lions has been estimated to be 650. Other animals that you get to see at Gir include striped hyenas, Indian leopards, golden jackals, etc. Bengal tigers, the national animal of India, come under the endangered list of animals, although the number has significantly raised over the years. With most of its population in India, Bengal tigers can also be witnessed in small numbers in Bhutan, Nepal and Bangladesh. The best place to see these tigers are in the Ranthambore National Park located in Rajasthan. Although famous for tigers, you get to see spotted deer, peacocks, Indian wild boars, etc. at this park. You can see Bengal tigers even in Sundarbans, Jim Corbett, Sariska, Bandhavgarh and Tadoba National Park in India. The Darjeeling Zoo is not only home to the cuddly looking red pandas but also to the majestic Himalayan wolves. The Himalayan wolf comes under critically endangered list of animals. They are not only looked after in this zoo but are also bred in captivity. Other animals that you may witness at the Darjeeling Zoo include Himalayan leopard, snow leopard, blue sheep, Tibetan wolves, etc. Like the name suggests, the Nilgiri tahrs are found in the Nilgiri Hills of the Western Ghats, in Kerala and Tamil Nadu. If you wish to see the beautiful, endangered animal, visit Eravikulam National Park located in Idukki district of Kerala. The beautiful park consists of a rolling hill plateau and lush green grasslands. Some of the other species of animals that you may witness at this national park are small-clawed otter, ruddy mongoose, golden jackal, to name a few.